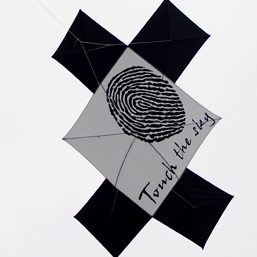 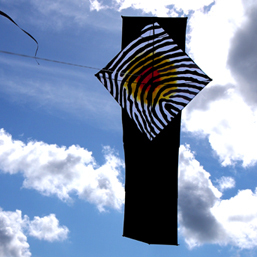 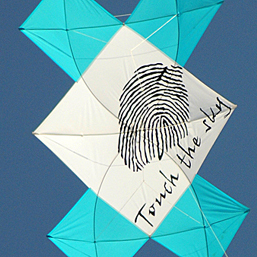 A couple of years ago we started to introduce a series of kites with fingerprints appliqued (and handpainted) on the face. 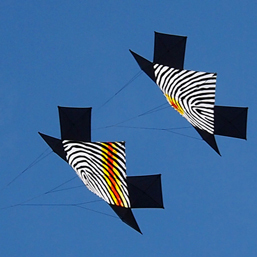 Pictured here are some of the kites that have been built. 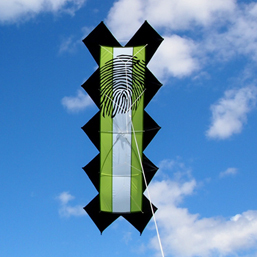 Some have a generic fingerprint and some have the kiteflier's own fingerprint. 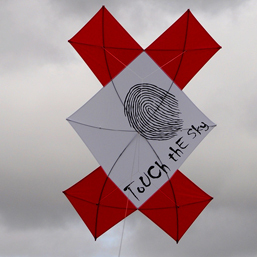 Truly an individual design. 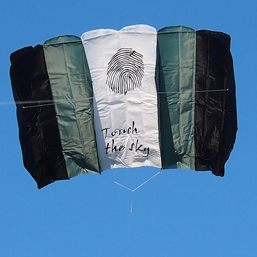 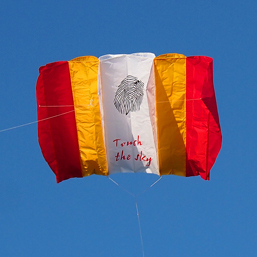 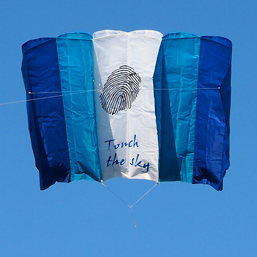 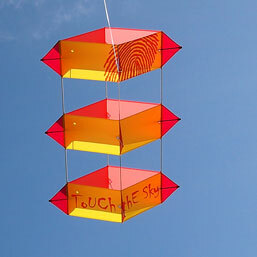 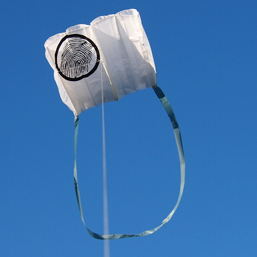 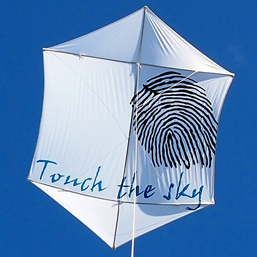 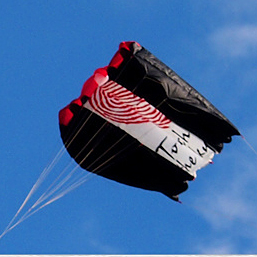 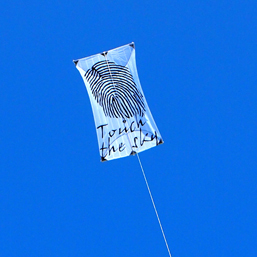 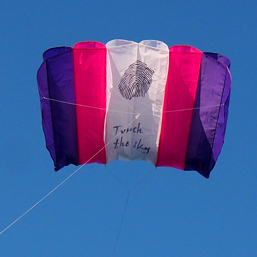 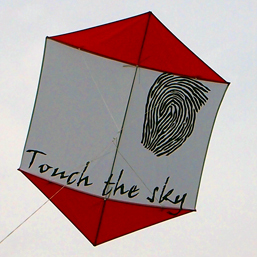 Contact us if you want to send us your print and we can blow it up on to one of our kites in your choice of colours.